Nice Nutty - and the classic pose. Like that one Ron. 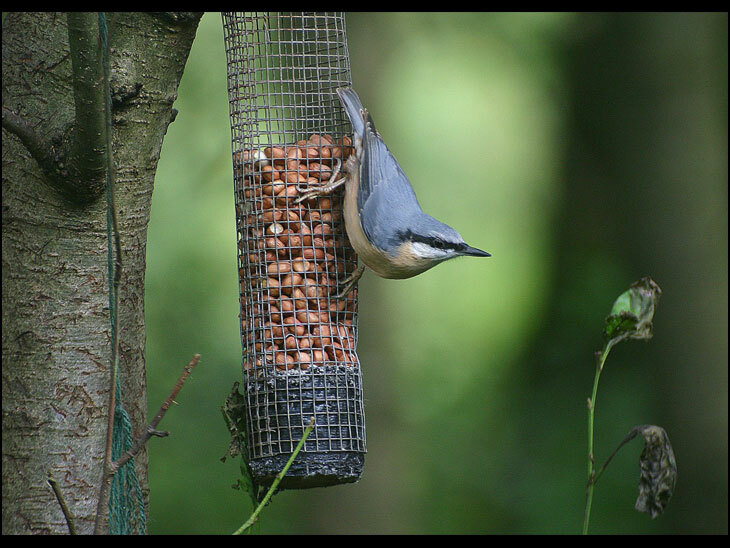 H.
Before 1980 you would be very lucky to see a Nuthatch in the Plants or anywhere around Wigan. Since then they have become quite common but they are a cracking little bird and very photogenic as you can see from Rons excellent shot. Lovely clear photo that one.Well done Ron.